Does anyone know which fuse in the 2010 Dodge Charger SXT may be the cause of my fob/horn/lights/door lock problems? Cant get the dealer to fix it properly, it was all recall safety problems,(already attempted once, want to charge for second go round), figured I would pull the fuse and use the \"dummy key\" to enter and exit the thing. Your question is about a fuse, but your problem is with your keyless entry. According to the NHTSA website, the recall had to do with being able to remove the keyfob from it's receptacle before placing the car in park. Since you did not indicate what your actual problem is, the best I can offer is Fuse #8 in the rear fuse block in the trunk. Removing the fuse would not solve any problems, however. The actual problem is that the car will continuouslylock the doors, flash lights, and beep horn as long as I am within 20-30 feet from it with the keyfob on my person. I can leavethe fobin the house, wrap it in tin foil, as long as it is not on my person. It's an embarrasment when I go in to a store, or anywhere else for that matter, and people will wonder what's with that car ? This was reported to the dealer, before I took it to them, and that is when I found out about the recall, as well as one on each of the driver and passenger airbags. The service manager said the matter was resolved, but, it was not resolved. A month later, I contacted him, personally, to tell him that the problem was not fixed, that's when he got kinda snotty and wanted to throw a "diagnostic fee" at me. I am in my late 60s, and can remember actually having to check tire pressure, lock and unlock doors, turn off the lights, and only use the horn to share my discontent with other drivers. If I could find a car that was actually user friendly... get your hands dirty and fix it yourself... I would gladly give up this "smart" car. Thanks for your response 6248. Defintely not related to the airbag recall or keyfob recall. Is there a security system on the car? If so, my guess is that's going haywire. If no security system, your ECM is not properly recognizing the keyfob, or perhaps the fob needs a new battery. The newer (2011+) Chargers use 5 proximity sensor to "find" the keyfob, but you just press the start button. Much nicer design. First step would be to try a different dealership. Explain the problem (s) and see what they might charge to diagnose it. A simple reflash or even just a new keyfob battery might take care of things. The keyfob had a brand new Energizer battery installed... prior to all this... just in case it was a weak battery. Got two keyfobs off ebay, but, since I only received one fob when I bought the car...I wasted my time and money since I cannot "self" activate (remember you need two key fobs in order to program a third). There is only one "security system" on the car, it's called...THE THING DONT WORK! It will lock your hiney out, flash the lights, and beep the horn...just like a real theft device. Unfortunately, the next nearest dealer refers these types of operations to, who? The one I took it to, that's who! The one I took it to, according to the service invoice "Recall/CSN1(KO8: Safety Recall KO8-Wireless Ignition Node Reveiver) O8KO8182 Safety Recall KO8-Replace Ignition Node Reciever (1-Semi Skilled) 111 W 0.80 1 CBAOK081AA Module-Wireless Ignition Node 98814 recall ko8 Replace Win Module and program key fob LO#O8KO8182 .8 Hrs and LO# 08KO8150 .1 hrs". If this means anything to anyone else...great... to me it's double talk. Now, you know as much as I do about the situation. 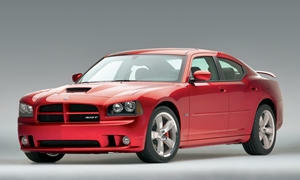 Thanksfor your the input, but, I can say one thing...I will never, ever buy another Dodge product. That is, provided I can get another car manufacturer to take this thing off my hands. Maybe a good old Japanese/Made in America Toyota or Mitsubishi dealer will takeit...who knows? Sincerely, "honk, flash, and lock."